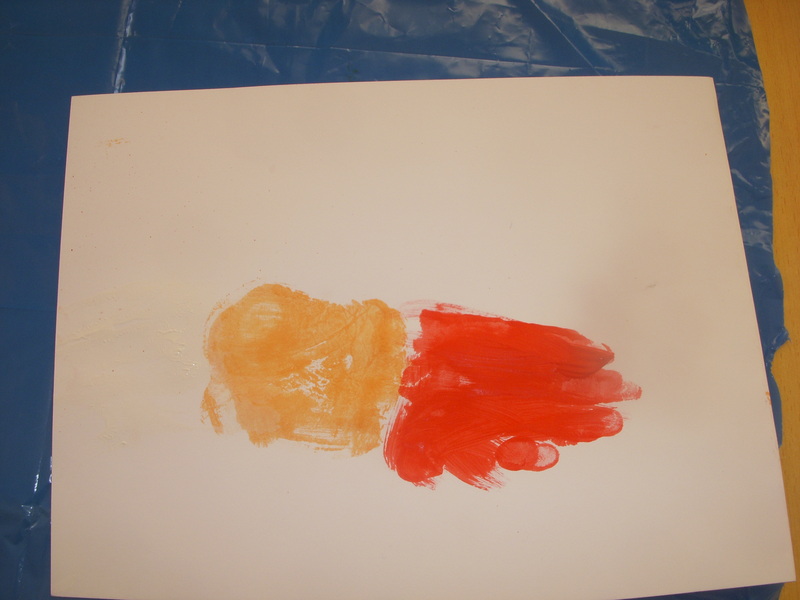 The children worked hard over the last week or so to create some lovely Christmas art. The photographs show the pieces as they developed throughout the week. 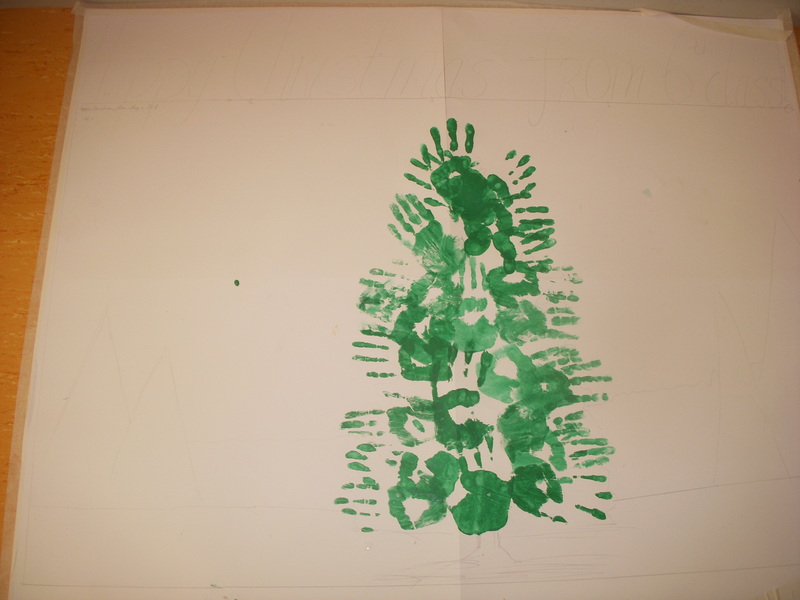 The class (Including Bernie and Mr. O’Sullivan) painted our hands and made a collaborative Christmas tree which can be seen in the halla. 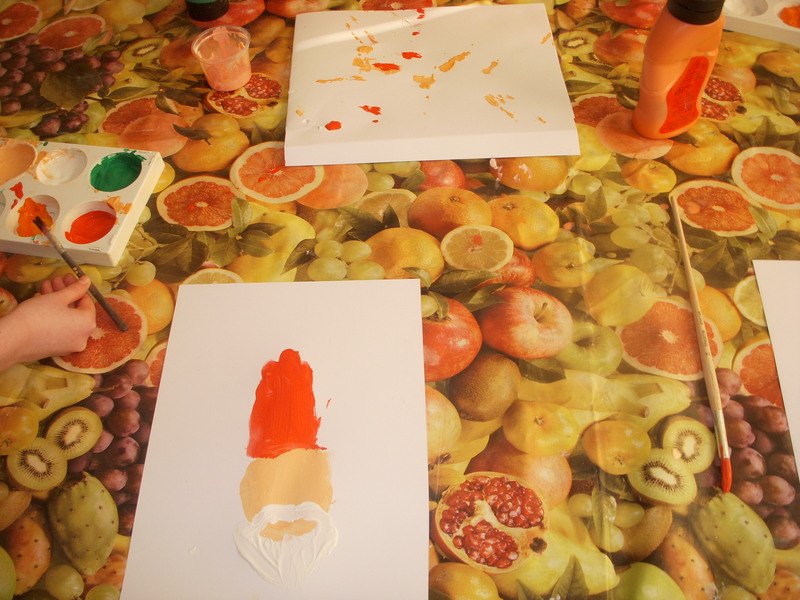 The children also used paint and their hands to create Santa Claus heads. These are pinned around the Christmas tree. 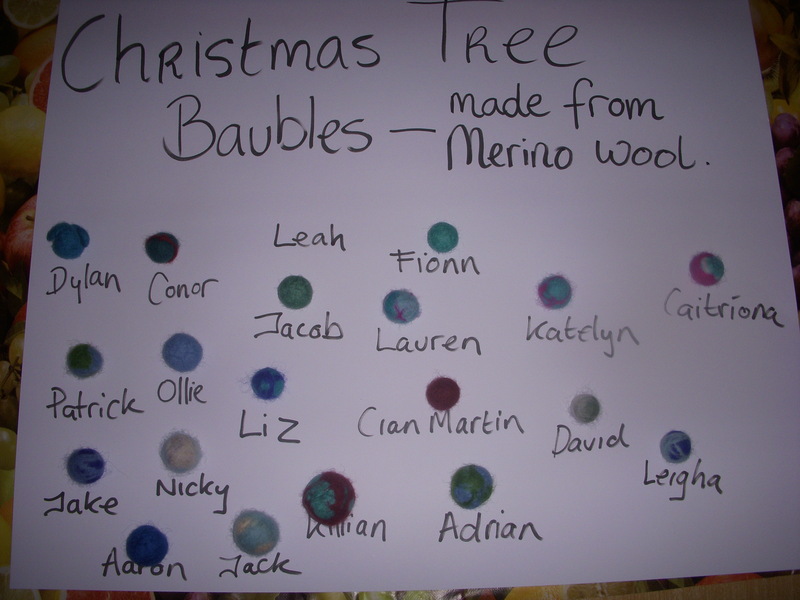 Finally, the children created baubles using Merino wool, soapy water and plenty of ‘elbow grease’! String will be attached to the baubles and the children will take them home to hang on their trees. 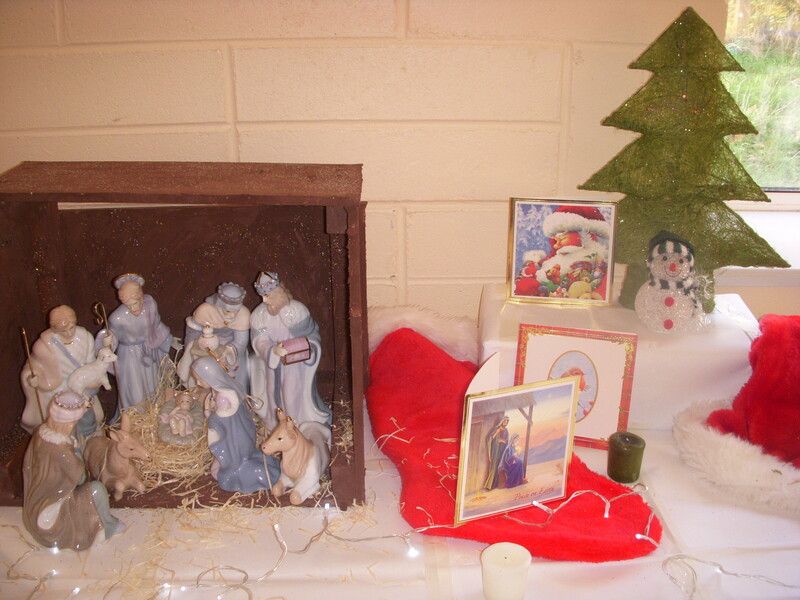 A crib and some symbols of Christmas have been displayed in the classroom to show the children that there are two sides to Christmas and that without the birth of Jesus we wouldn’t have Christmas Day or the festive season. 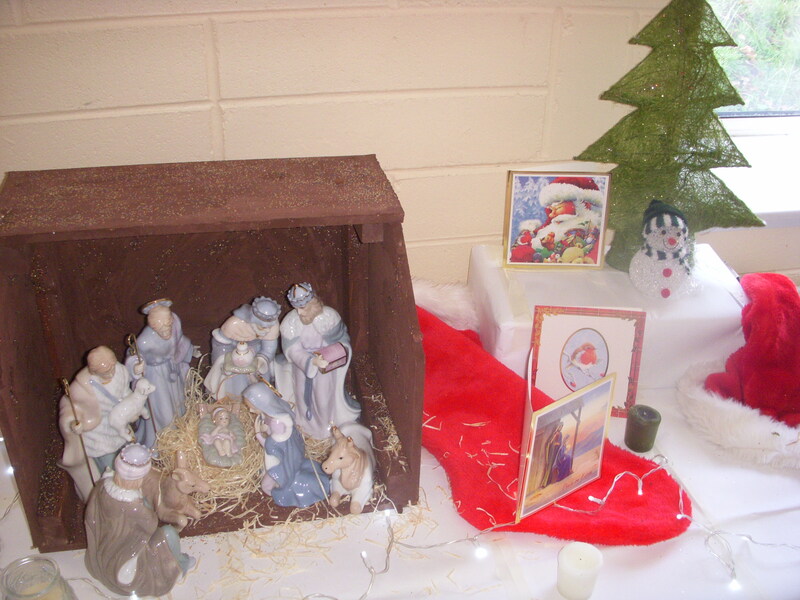 Liz, the youngest in the class, was given the honour of placing the baby Jesus into the crib.